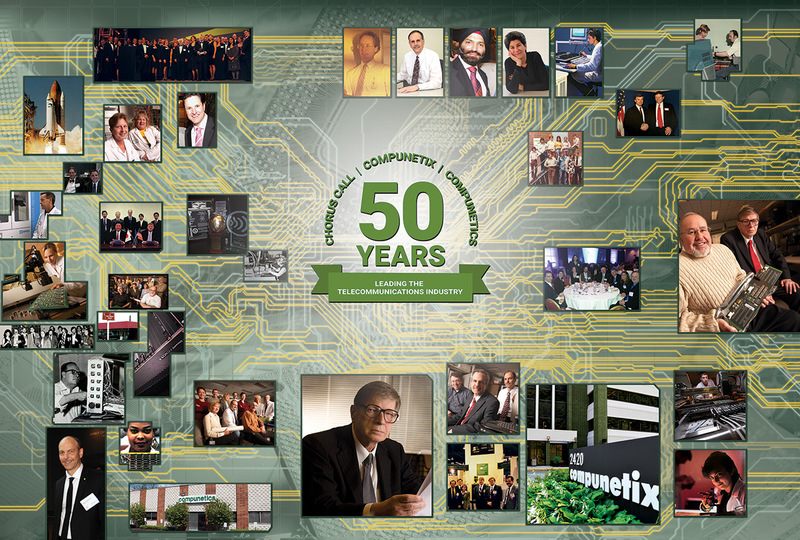 Compunetix, renowned worldwide for advanced collaboration platforms and solutions, is celebrating its 50th Anniversary! Last week, employees from across the globe gathered together to commemorate the rare accomplishment. 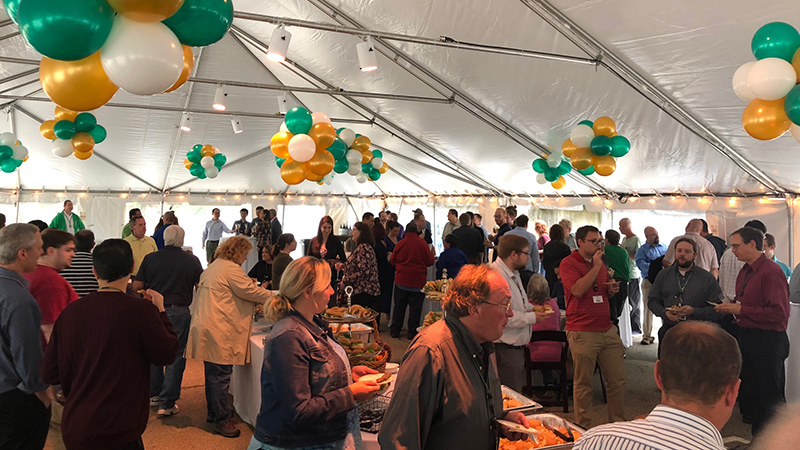 The celebration was held at the Monroeville, PA headquarters of the Pittsburgh-based group of technology companies (Compunetix, Compunetics and Chorus Call). Compunetix was founded in 1968 by Dr. Giorgio Coraluppi, engineering visionary and one of the founding members of the Pittsburgh Technology Council. This collection of companies has helped drive the global market of electronic collaboration and multipoint communications for half a century. Together the companies employ over 600 personnel in operation centers across 12 countries, providing follow-the-sun support and services to a wide variety of clients and industry segments. Compunetix would like to thank all of our customers and patrons from over the past 50 years, and invite you to learn more about what our dynamic organization has in store for the next 50 at Compunetix, Chorus Call, and Compunetics. 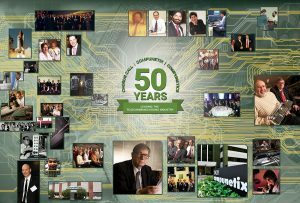 Don’t forget to watch our 50th Anniversary video below which highlights some of the great accomplishments of Compunetix throughout the years!